After years of tanking, the Philadelphia 76ers are finally contenders again. Before the team's reemergence last season, the Sixers were the laughing stock of the NBA and the team hit the lowest of lows as they finished the 15/16 season with a 10-72 record. Despite this, Philadelphia fans that trusted 'The Process', have finally been rewarded with a team that they can get behind. Last season, the 76ers made the playoffs for the first time since 2012, although the organization was aware that it was a year too early to make a major splash in the postseason. The 18/19 season is a different story. Ben Simmons is no longer a rookie, Joel Embiid is an established All-Star and the team has also added a third star in Jimmy Butler. 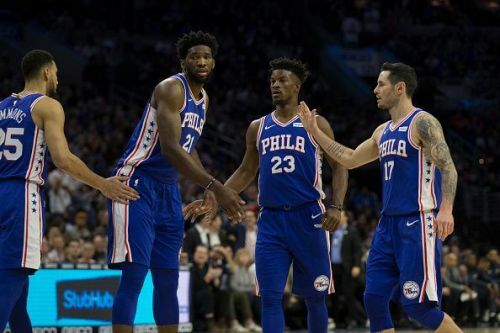 The 76ers will be confident of going all the way to the 2019 NBA Finals, and here we will discuss the three main talking points of their season so far. 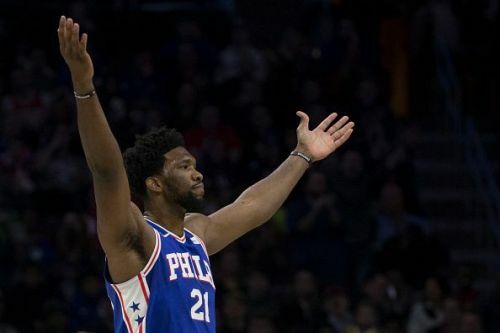 Joel Embiid has begun the 18/19 season in scintillating form, and the center was involved in the early MVP conversation. The 24-year-old was averaging nearly 30 points-per-game through 15 games, although the big man's stats have taken a small hit since the team added All-Star Jimmy Butler. Embiid is averaging 26.4 points, 13.3 rebounds, and 3.6 assists-per-game, which are all career highs. While Embiid still has room to improve both his three-point shooting and his consistency, it is important to note that this is only the centers second full season in the NBA. Ultimately, if Embiid continues on his current projection, then he will be a top 10 player within the next 18 months.